THIS MACHINE CAN BE USED FOR POLYPROPLYLEN STRAP AND KRAFT PAPER STRAP IN THREE SIZES OF 1/2" (12mm) , 5/8"(15.5mm) AND 3/4"(19mm) WIDTH. THE OPERATION CONNECTING A BACK PUSHING NAIL AND THEREFOR PROMOTES EFFICIENCY IN WORKING. 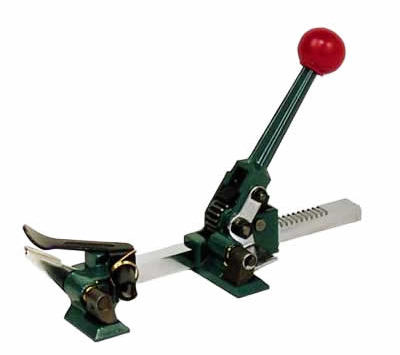 THE HIGH EFFICIENT CUTTER INSTALLED IN THE FRONT PART OF THE MACHINE IS VERY CONVENIET IN CUTTING THE STRAP. THE SERALONG PART OF THIS MACHINE IS CLA,PED IN THREE PILES AND THE MAIN PARTS ARE ALL WITH SPECIAL HEAT TREATMENT AND THEY ARE VERY TOUGH AND RESISTANT TO WEAR. AND ALSO THE EASINESS TO REPLACE THE SPARE PARTS IS VERY ECONOMICAL. 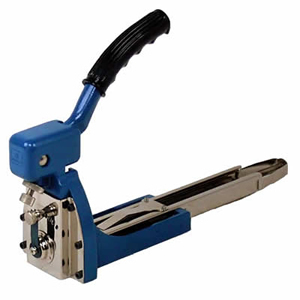 THIS MAVHINE HAS THREE SIZES OF 1/2"(12mm),5/8"(15.5mm)AND 3/4"(19mm) WIDTH. 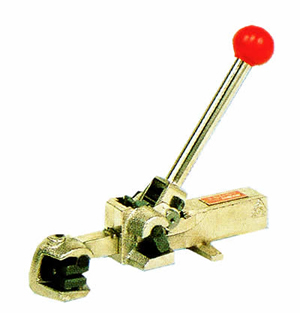 THIS MACHINE CAN BE USED FOR STEEL STRAP IN 4 SIZES OF 9MM, 13MM, 16MM AND 19MM WIDTH. THE OPERATION CONNECTING A BACK PUSHING NAIL AND THEREFOR PROMOTES EFFICIENCY IN WORKING.